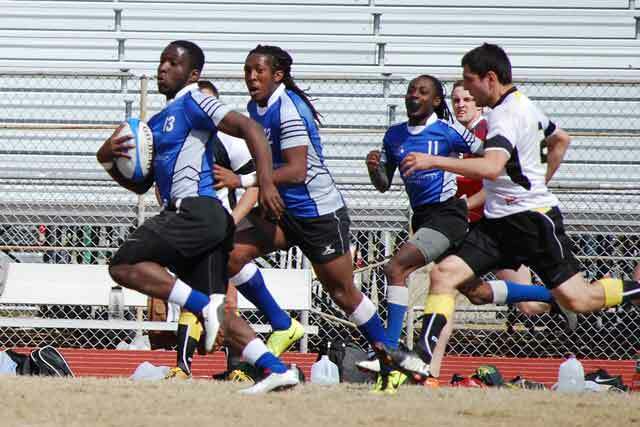 Kennesaw State University traveled to Memphis on March 8th undefeated this year in conference play. They had rallied to beat the Tigers at their house and had taken it to powerful MTSU as well. KSU was hoping for an easy win against the tigers and brought their best players to ensure the victory. However, the Tigers played the best game of their season to deny KSU the undefeated title. The Tiger win places KSU’s hopes of a division title in jeapordy. The match was played at Halle Stadium under partly cloudy skies and in front of 75 vocal fans. Freddy “The Face” Hodges (Formerly Freddy “The Lips”) was in the press box announcing the game and playing tunes. It was great hearing the Tiger Fight song at the beginning of the game and at halftime. Freddy “The Face” did a great job keeping the fans in the match. Having an announcer added to the excitement of the day. KSU started the scoring in the first two minutes with a nice move following their kickoff. Then things settled down. 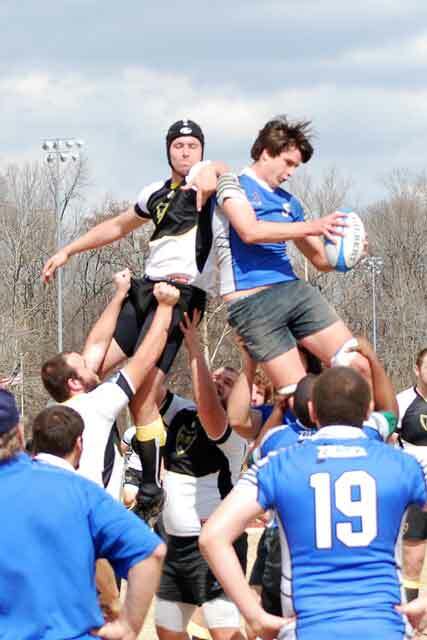 Thomas Strickland got the next points off of ruck ball at the 23rd minute and Donovan Thomas got a try by powering over the defense in the 24th minute. John Elmore converted the try and the Tigers Lead 12-7. KSU was not deterred. They used their power forwards to drive the ball deep into Tiger territory and scored under the posts on the 26th minute. KSU back on top 14-12. In the 30th minute, Ronnie Roberson, fresh back from his shoulder injury at Georgia Southern scored his first points as a Tiger. He crashed hard against the defensive line following a quick ruck and great handling by the backs. John converted and the Tigers go into the break ahead, 19-14. The Tiger forwards played out of their minds. 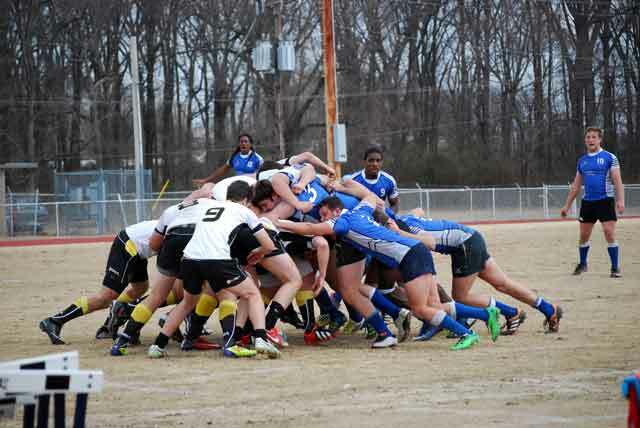 The scrums were amazing with Josiah Shipley stealing KSU ball and the Tiger forwards driving the heavier pack. Lemons and company snagged all our lineouts and stole or disrupted all their ball. At the 26th minute, Elmore calls “New Zealand” at the middle of the pitch. With our backs split wide, the confused KSU defense adjusts. Thomas knows just what to do. He sees a crack between the center and the fullback and goes solo to the try line. Ronnie comes to the aid of Adam Hairston, his captain, when he sees him being accosted out view of the referee. His reward is ten minutes in the sin bin. Ronnie is a tough competitor with warriors heart. His actions typify the way the team feels about each other. Over this season they have become a close nit group, working together to achieve goals and protecting each other along the way. While we are down one man KSU picks up two tries, but Ronnie is back for the last eight minutes and we spend the remaining part of the match attacking their goal. Time runs out before we can score again, but the match is ours. The fans go nuts. The scoreboard announces “Home 31, Visitor 26”. 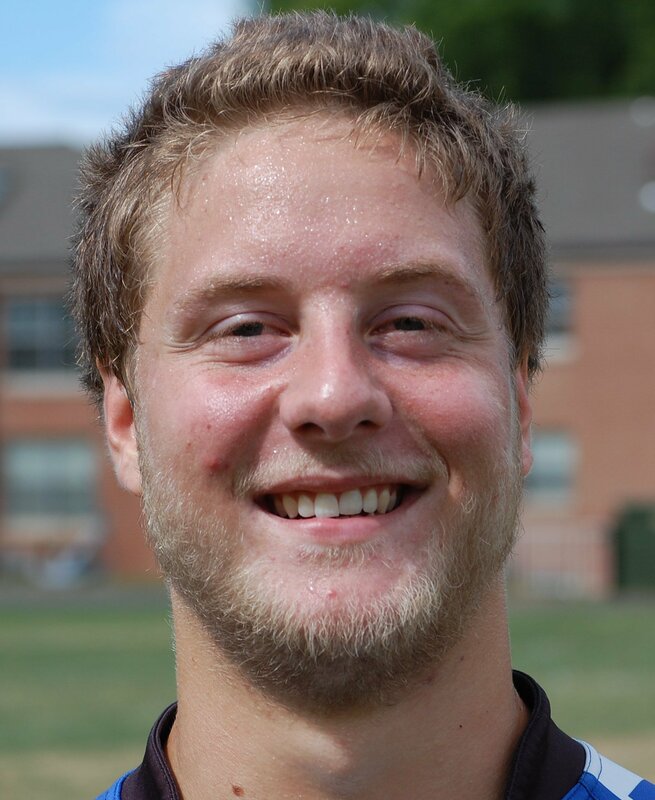 Man of the Match: John Elmore, for leading the backs, organizing the defense and his conversions in a stiff wind. Best Forward: All of the forwards: Justice Houston, Josiah Shipley, Matt Hill, Ronnie Roberson, Chris Lemons, August Myers, Adam Hairston, and Nick Harrison for their outstanding play as a group that engineered the win over KSU.